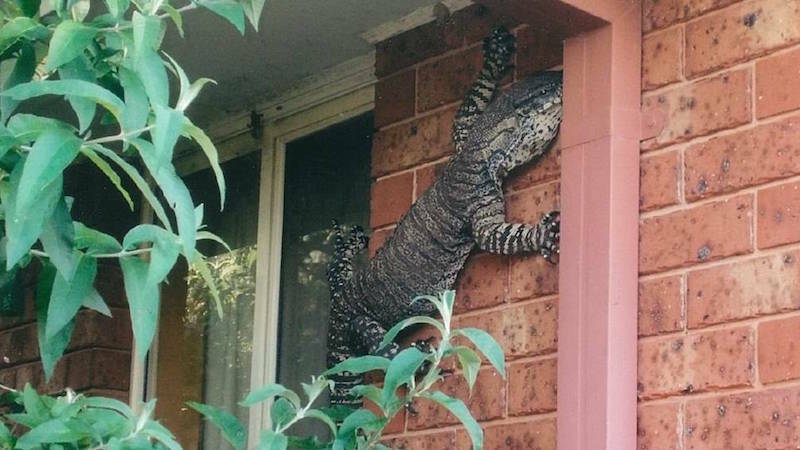 Imagine whistling a good song while walking outside your home and then seeing this monstrous scientifically named Mega Lizard climbing up the bricks. It’d probably ruin your day. Bless this man from Sydney, Australia, Eric Holland, who first spotted this five-foot goanna on the ground in his backyard while working in his shed earlier this week. Holland seemed to still be in shock, rightfully, recalling the incident on Friday in an interview with Sydney radio station 2UE. At this point, it was time for some soul searching, deep thought and reflection—“When I was inside the house, I just sat down gettin’ my bloody heartbeat down again,” says Holland. That’s when he heard a noise outside the door. And when he walked outside, Holland saw Liz scaling the wall and he captured a photo. That lizard is too damn big.